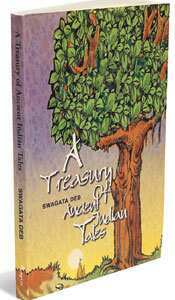 A Treasury of Ancient Indian Tales: By Swagata Deb, Rupa &amp; Co, 191 pages, Rs150. How did a physicist think of writing a book on mythology? “There’s a part of me that appreciates science and logic. But, there’s a part of me that loves imagination, beauty and art. I carry both parts with me," laughs author Swagata Deb. A Ph.D in Physics, who grew up on Wizard of Oz, Alice in Wonderland and Enid Blyton, Deb seriously started thinking of writing stories for children after nights of telling stories to her daughter. A Treasury Of Ancient Indian Tales is a collection of mythological stories such as Hanuman’s childhood, Ganga’s descent, how Ganesha got his head, Mahishasura’s defeat, Vishnu’s avatars and tales from the Mahabharata. A Treasury of Ancient Indian Tales: By Swagata Deb, Rupa & Co, 191 pages, Rs150. With the Sun out of commission, people on Earth suffered. Indra then took a hand in the proceedings by hurling a powerful thunderbolt that sent the monkey god into a coma. A very upset Vayu (Hanuman’s father) downed tools, leading to animals, birds and humans suffocating. Indra then apologized to Vayu, and Brahma, using his skills, brought the mischievous monkey back to life. There are more such interesting events in the book. How the sage Agasthya drank up the ocean and why Agni, the God of fire, wanted to hide, are some of them. Other tales from the Mahabharata and stories about asuras and devas give the child a peep into the rich archives of Indian mythology. Deb is quite good at bringing mythological characters to life. Her first book was a translation of Upendrakishore Roychoudhury. Titled Goopy Gyne Bagha Byne: The Magical World of Upendrakishore Roychoudhury, it was a compilation of some of the most popular children’s stories from Bengal. Roychoudhury, grandfather of Satyajit Ray, was a writer, musician and artist, as well as a man of science. Some of his unforgettable—ask any Bengali child—tales are of a little bird, Tuntuni, and he did the illustrations himself. Deb came up with this translation in 2003, and followed it up with another imaginative series of stories called The Amazing Adventures of Little. The book, a mix of science fiction and fantasy, is about the escapades of a little girl (based on her daughter, says the author), her brother Pickle and her uncle Jojo. It is an original work. Last year, Rupa & Co. suggested she write a book on mythology. Deb went into research mode, read up on Indian mythology, cast her memory back to the tales her grandmother used to tell, and came up with this collection. You cannot keep a physicist down for too long, however. Deb’s next book is on science. “It is not a textbook," she says emphatically. It will explain scientific concepts in a fun way that 10- to 12-year-olds can grasp. Anecdotes about great scientists and explanations about new technology promise an interesting read. Deb, who was a teacher at one time, is also a great professional storyteller.